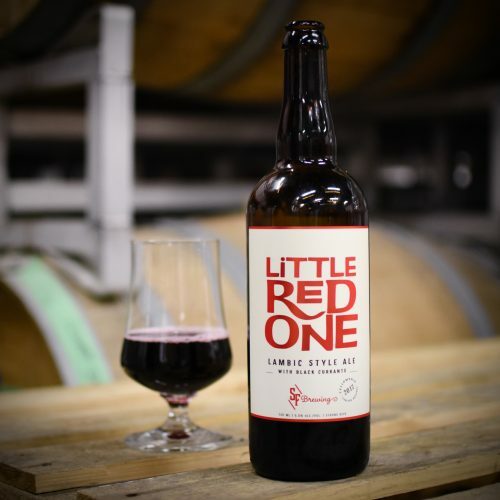 After months of tasting, note taking, and patience, we finally feel ready to announce that starting at 3pm this coming Thursday, November 16th we will be releasing our second Fellowship beer – Little Red One Batch 2 (LRO 2). This West Coast Lambic-Style Sour with black currants from the Fraser Valley has been barrel-aged for over a year and is bottle conditioned. We liked the character that the currants bestowed upon this beer so much in Batch 1 that we decided to add even more black currants for Batch 2! This beer pours a deep red with aromas and flavours of oak, black tea, and tobacco. The currants lend berry character but with a dry herbal note (rather than sweetness). In addition to being available for pick up by our Fellowship members, we will also have one keg of this special beer on tap. With only one keg, it won’t last long, so make sure to come down and get a taste. Intrigued? You can still sign up for this year’s Fellowship and receive your bottles of the first two releases. Click HERE for more information.